HomeBlogCoffee vs Espresso: What’s the difference? All espresso is coffee, but all coffee isn’t necessarily made with espresso. That is essentially the simplest distinction between the two types drinks – of which both come from the same source – the coffee bean. The major difference between ‘espresso’ and ‘coffee’ is a) how it is served and b) how it is prepared. Let’s first preface this by saying that whilst you can make espresso without a dedicated machine, in this instance, we are referring to espresso made via a traditional Italian coffee machine. There are other ways to make espresso, but using an espresso machine is the most common variant of the drink we all know and enjoy. 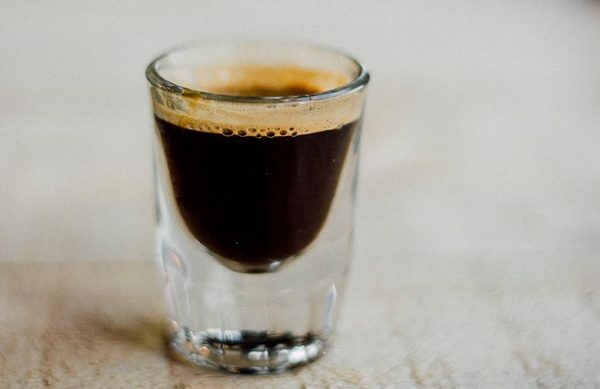 Espresso is a short, sharp shot of coffee that is made when water at pressure is used to brew coffee beans. These beans are then ground, before being tamped to prepare these finely ground beans for the brewing procedure. The entire brewing process of a single (or double) measure of espresso should be anywhere from 22 to 30 seconds, producing 30ml of intense black coffee. It’s difficult to give a specific ‘time’ but this optimum range ensures that almost any coffee blend or single origin coffee has its nuanced flavours and character extracted. Whilst there is no strict ‘exact’ time for this extraction/brewing process, it’s important to not be too short or too long otherwise the taste of your espresso will suffer. Coffee is full of oils, sugars and intricate flavours, for most first-time coffee drinkers, the palate is not used to the richness and concentrated ‘strength’ that espresso offers. You can either drink espresso on its own, with a little sugar or what is most popular throughout the world, add milk or water in differing volumes to create a plethora of speciality coffee. So what’s the difference between espresso and coffee? Right so as you’ve gathered we’ve now established that all espresso is coffee, but not all coffee is espresso. And the major benefit for us drinkers is that coffee can be made with or without espresso. Most speciality coffee – lattes, cappuccinos, macchiatos etc – are made using espresso as a ‘base’ for the drink. Milk and water differentiate espresso-based coffee from the smaller form-factor-father. Luckily for everyone, you don’t even need an espresso machine or to go to a coffee shop to enjoy a quality cup of coffee – but we do recommend it! Drip, filter or pour-over coffee can be made with any type of coffee bean, with a preference on a blend for a more balanced flavour profile. 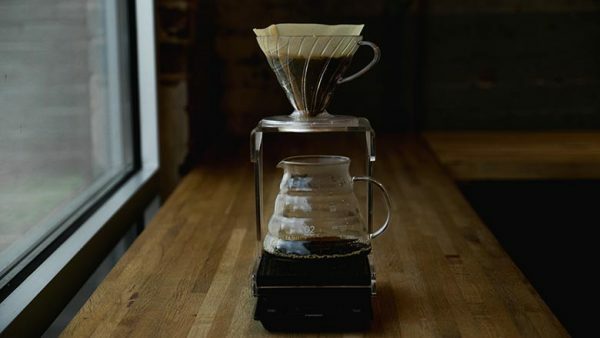 Made simply by pouring hot water over coarsely ground beans, it’s most commonly associated with home coffee machines, American-style diners but is seeing a resurgence even in traditional coffee shops as an alternative hot (or sometimes cold) drink. Commonly associated with all forms of coffee, and rightly so, caffeine plays an integral part of why many choose to drink coffee at all. The most common misconception about espresso is that it contains the most caffeine, but, somewhat surprisingly, drip, filter or pour over coffee tends to contain much more caffeine than espresso. Why? Well, because drip or filter coffee extracts the naturals oils, sugars and therefore caffeine much more slowly, meaning you get a more nuanced cup but one that contains a slightly higher amount of caffeine. Types of Drink Drip, filter, cold brew, Nitro Brew, Freeze dried, Aeropress Latte, Cappuccino, Macchiato, Americano, Piccolo, Cortado, Flat White, Mochaccino. Remove the group handle (portafilter) from the machine and proceed to clear of any leftover coffee grounds. Quickly rinse the group head. Refill group handle with freshly ground coffee. Place the group handle in the group head and use the ‘espresso’ portion button on your coffee machine to proceed with brewing. It’s that simple. We even have a video guide to show you how to make the finest Italian classic possible! We’re not going to lecture about why we think one particular way of drinking coffee is better than the other, the Coffee vs Espresso argument can’t really be won. Personal preference plays a huge part in what you will enjoy, with everyone having a favourite method of consuming the drink we all seem to love. Pick what you enjoy the most, but as with all things, enjoying coffee in moderation is recommended!